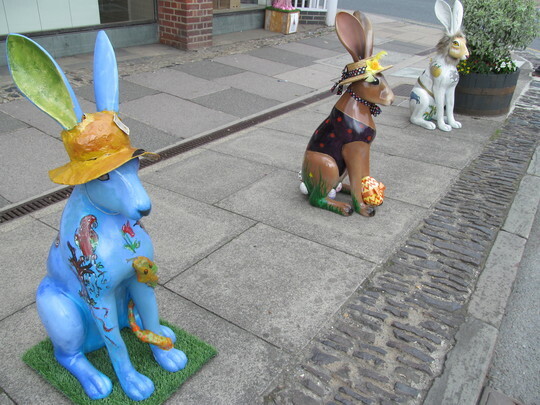 Hares in Farnham, photo taken last summer. Very original love them in the hats I would love one or may be two. . They're lovely. Last year, in Brighton & Hove, there were giant decorated snails which were auctioned off, after nine weeks on show, to raise funds for a local hospice. The staggering amount of £231,400 was raised! now. Sorry to not know more. They were just there when I went to Farnham one day. The hares are lovely. At least they are sold off for a good cause to help people. I do like these painted ones.